I knew this would happen! After we sold our house, I didn't look back. Christmas changed all that as I'm feeling quite nostalgic for my Christmas home these days. I've been perusing my iPhoto library, reminiscing about days of Christmas past. 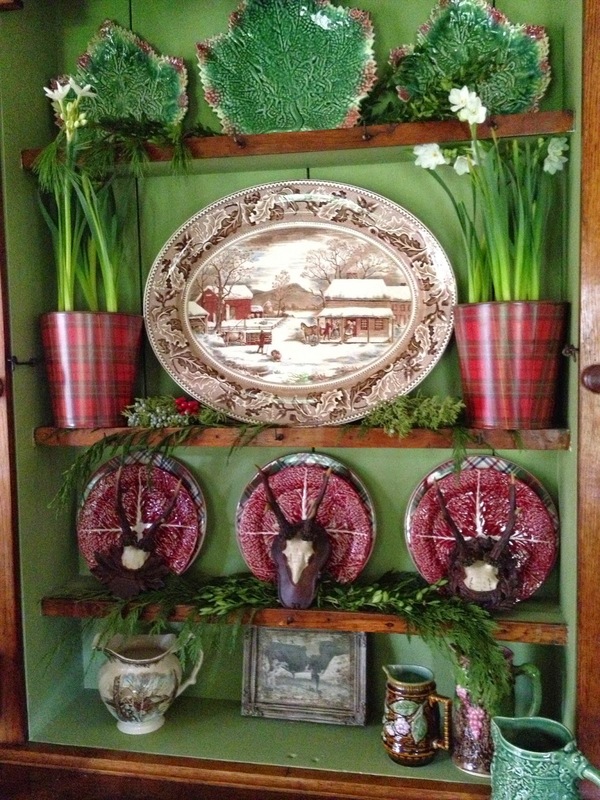 ...the hutch that I loved to decorate each year. Our house was the ultimate Christmas house, and each year, I tried to out do myself. It's like the house waited all year for the halls to be decked out. With everything Christmas packed up and in storage, decorating will be kept to a minimum this year. A little table top Charlie Brown tree. Perhaps some greenery here and there. I'm hoping a trip to the nursery will cure my nostalgia! How sad. I'm sad for you! Delores, I know it must sad to look back at your beautiful home dressed for the holidays. Obviously even your readers miss seeing your gorgeous home filled with scrumptious details warm and inviting. I've pinned many of the images so I can return for yet more inspiration. All that said, I'm confident that you will find your muse to work magic on your apartment in town. Everything you do is done with grace and style. Take that trip to the garden center. I'm betting you'll find your muse. Hi D! You are not alone, almost all of my friends are the same way this year. I am beginning to wonder if it is age related. I hope not,cause I am going to fight it all the way! Seriously it is like an epidemic this year. Maybe too much expectations of what it should be or look like. The music and candlelight always get me going, but to be honest it does not take much for me to get excited about Christmas. 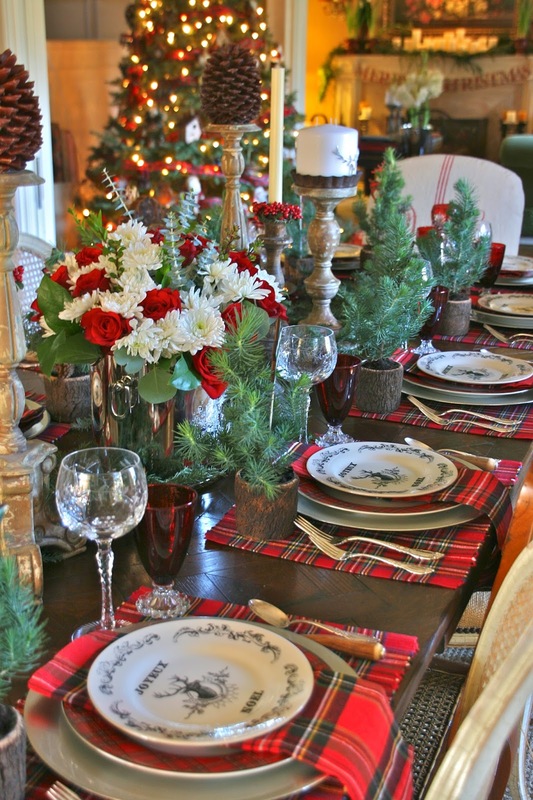 Lots of candles, music and greenery, good food and Christmas smells will get you going. Go to the Flower Mart that will do it!! I'm missing your beautiful Christmas house too! Hopefully this time next year you will be razzle dazzling us with your creations in your new home. By the way, how's that going? We need updates! This makes me sad. The trip to the nursery will help! I know you'll find it, that special item will be seen, pop into your cart, and the muse returns! Your home has always been an inspiration, and will be again. Hugs. I Totally understand! Our home burned a year ago Thanksgiving weekend. Last Christmas we were still in shock so no decorating of rental house. Now we have beautiful new house and a few of the decorations that were salvaged from fire. BUT I am at a total loss of how to decorate and just not in the mood. 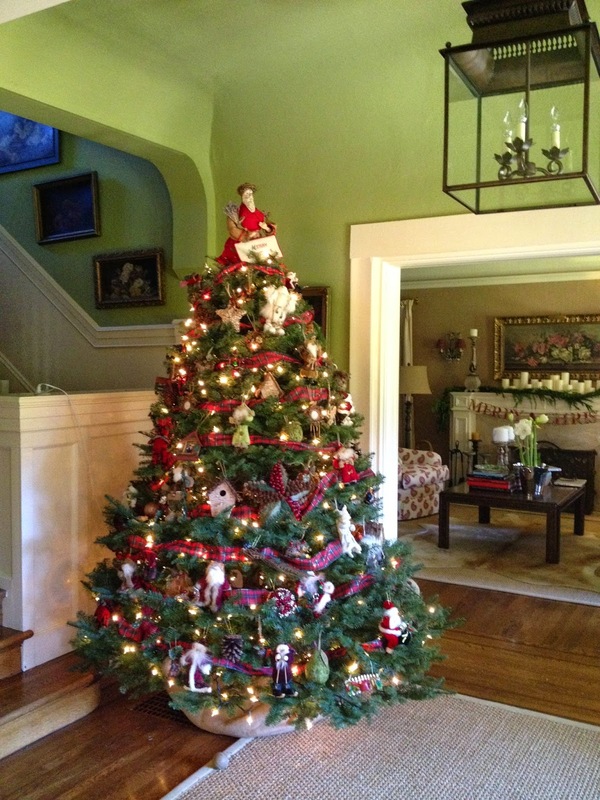 I too miss those old decorations at the old house and while I love this house and am thankful for some cherished ornaments saved, it is just not the same....yet. Start anew with new decorations, new ideas, new traditions. Fill each room with things you love and enjoy. Make it YOU! Then it will be beautiful! Delores, I can see why you're feeling nostalgic about Christmas. Your former home was gorgeous, but I'm sure you'll make Christmas very special in your "now" home. Fresh greenery is always lovely, candles and favorite treats, children and grands. I know you'll find your muse soon. Hugs. The year we sold our last home..12 years ago..I felt the same way..and drove back to see her around Christmastime..at night.. It looked so different w/out the candles in the windows..etc..
Because we are in it..and new memories have been created..and new babies have slept here..and moments have happened. You had such a lovely home…but your new one will give you loves of inspiration. You are so talented. It takes time to make a "home" and you will find that same energy and inspiration in your new place. It's who you are. I loved your Christmas home. The green used through out was beautiful! But you were the one that made it that way! The mastermind behind it all. I can't wait to see what you do next year! Just think how much fun you will have next year !!!! OMG put down the purse and car keys and BACK AWAY. DO NOT go to the nursery!! I am in the same spot as you, and one trip to the nursery and I now have SIX Christmas Cacti, a Rosemary Tree, and--literally--a car load of poinsettias. People like us can't help ourselves, and in the face of a Christmas vacuum we fill it LOL!! I love GRC's comments!! I can feel your pain we will be downsizing soon!! I will feel the same as you! Oh my gosh, I knew that would happen, and I'm not even you! I miss your decor and table settings so much. And as someone above commented, I now look back at old posts that I've pinned to get inspiration. Your house was so gorgeous and truly the "perfect" Christmas house. I guess you will just have to have a new "perfect"! 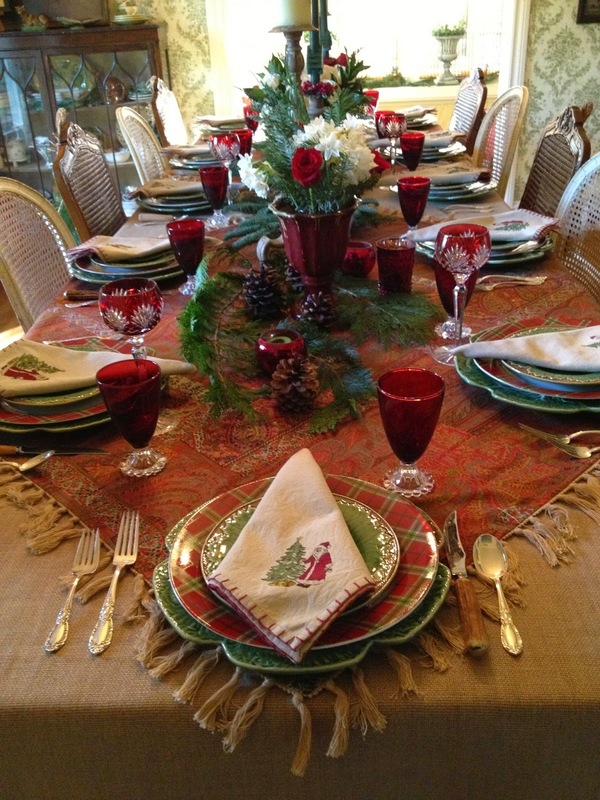 You always inspired me with your beautiful vignettes and table settings. You'll get your muse back once you're settled in your new place. I'm sure you'll pick up some new ideas along the way and your new home will steal your heart. Some years are definitely easier than others when it comes to being inspired to decorate for the holidays! I am sure whatever you do will be beautiful!! It is sad. Hope the trip to the nursery helps. I completely understand! We moved this year as well, and Christmas just isn't the same in our new home. As I unpacked the decorations, I realized how much I enjoyed decorating our former home. Maybe it's because I collected decorations specifically for THAT house, and everything has to be reimagined for our new home. I keep telling myself it took me years to get it "just right." In time, we will find the right look for our new homes. I have no comforting words for you - you and I are traveling the same path to Christmas - and I think we should just go ahead and be nostalgic for our old homes and Christmas' past because we may as well get it out of our systems until we are ready to embrace the new!!!! Muses arrive in many forms! Think of your "now" home, as an opportunity to cleanse the decorating palate. You'll get there.